Not on a grand scale, but certainly a day trip in our own city. Marc (yes he is a Grandma too) and I headed out at 9am to meet and talk with Librarians and Archivists in Ottawa. A little too early as the first one on our list didn’t open until ten. We ended up sipping our Bridgehead coffees, chatting and watching the neighborhood kids play near the door of the Rosemont Branch (18 Rosemount Ave.) of the OPL (Ottawa Public Library). Amazing how a bike stand can turn into a jungle gym for anyone 3 or younger! We introduced ourselves to the Librarians and chatted briefly with them. This is not one of the OPL designated Genealogy Centers, but still has local information and of course access to online Genealogy programs like WikiTree, Ancestry and others. Our second stop was at the downtown, Main Library (120 Metcalfe St.) Branch. We met with a Genealogy Specialist and member of the OPL Genealogy Team. She gave us a tour of the Ottawa Room and discussed the Library’s Genealogical services. 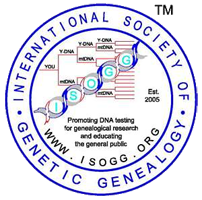 They have gone to a team approach to Genealogy to meet the needs of increased demand and interest in Genealogy. Currently they have several Genealogical Service Center’s around the city located at Library Branches. You can book an appointment with a Genealogy Specialists to have a one-one consultation here: Library’s Genealogical Services Website. The Library Archives Canada (395 Wellington Street), introduced us to a short but needed security check and the issuance of a Researcher Card, identifying us and allowing access on visits to LAC for the next two years. We also had to check our bags into a locker, though we could bring our computer and notebooks up. The Archivist we spoke to explained upcoming changes to the Genealogy Room, was friendly and helpful to us and busy as well, helping others. LAC Website. Finding the LDS Ottawa Stake Family History Center (1017 Prince of Wales Drive) was a bit of a surprise. Marc and I have driven past it, cycled past it and lived near it for years. We were introduced to several of the Volunteers who people the center Tuesday through Saturday at various times. Despite the increase in the Family Search online offerings, this center is well suited to providing research opportunities. It is equipped with a room full of Microfilm machines, another with computers, and access to local and international information. Ottawa Ontario Stake Family History Center Website. Which is, interestingly enough, the title of another blog post I have on the go. Kismet, I think. Happy Roots Digging!